Shed for Potting or Fun for Miniature Fairy Gardens. 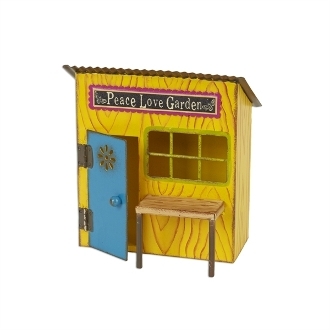 Every little gardener needs a good potting shed, and this is the perfect one for the job! With its bright blue door, it will stand out in any mini garden.